With January being the start of a new year – and also being named National Eye Care Month – this is the perfect time to start taking care of your eyes or keep up that important annual regimen of making appointments for eye exams and protecting your future vision. Early Detection – So much can happen in a year. By having an eye exam once a year, you are giving one of our ophthalmologists or optometrists the opportunity to detect any possible problems early on in their development. Addressing any issues – such as glaucoma, cataracts, the need for LASIK surgery or even a dry eye condition – before they progress and become more severe is always a good idea. Early treatment can minimize damage to your eyes and vision. Protecting Your Future Vision – Even if you have 20/20 vision, having an eye exam once a year will help you save your vision for the future. Many people lose their vision so gradually that it’s hard to notice the effects – seeing your eye doctor so that they can help correct that vision loss early will protect your vision for years to come. 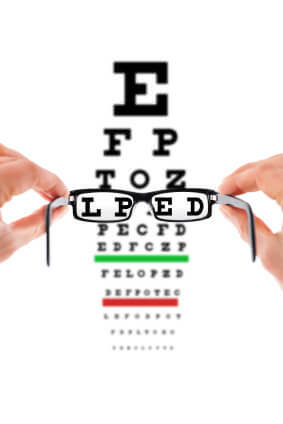 Update your eyeglass prescription… or just your look! 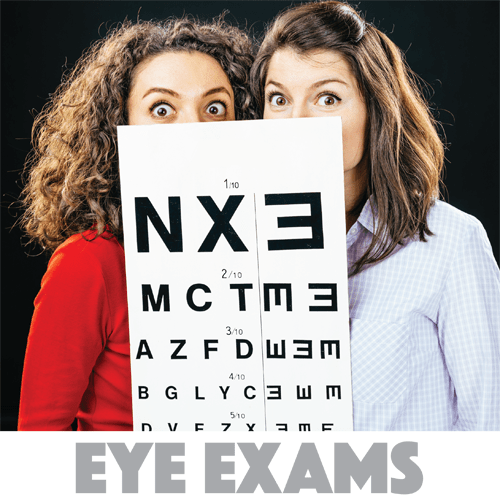 Maybe you already have glasses… how long has it been since an eye doctor has checked to see if your prescription matches your current vision needs? If you’re like most people, probably too long. And, like most people, if an update is needed, you’ll be surprised at the difference it can make. Or, maybe you just want fresh, updated look with new frames… we love helping people select just the right look for your face and personality – and we have lots of great choices, from designer frames to budget conscious options. Check out out optical shops today! Make your appointment today! Call any of South Georgia/North Florida Eye Partners’ offices today to make your appointment and keep those eyes and your vision healthy in the new year! South Georgia/North Florida Eye Partners – with locations in Valdosta, Tifton, Moultrie, Douglas & Masdison, FL – specializes in LASIK and cataract surgery with premium lens implants, glaucoma diagnosis and treatment, comprehensive eye exams for adults and children and a Dry Eye Clinic. Eye Partners also has Optical Shops fully stocked with designer frames and sunglasses to fit your style and personality. To make an appointment with one of SGNF’s physicians or to find our locations and hours, click here.